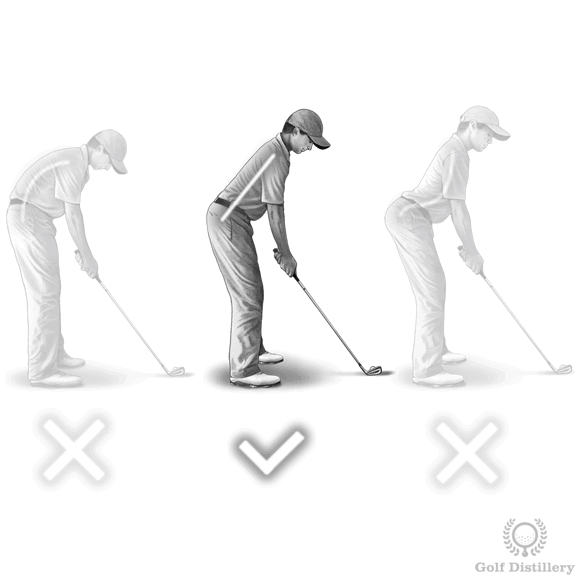 Great golf posture is crucial for consistent, accurate and powerful ball striking. You don’t have to be an athlete to achieve great posture over the ball and the tips on this page will work for golfers of all shapes and size. The golf swing is essentially a turning motion around a central column – that central column being your spine. The better the position and the angle of your spine at address, the better it will be throughout the swing, especially at impact. Now, different people will have different natural postures. 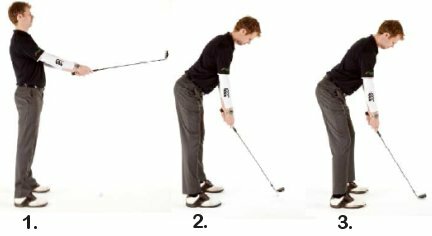 Your posture might not be great while your sitting, standing or driving for example, but with a little bit of practice you can create a very efficient stance over the golf ball. 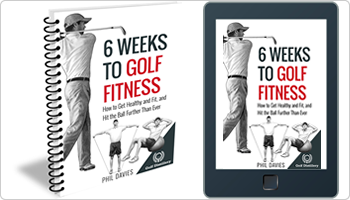 Watch the video below (or read the video summary beneath it) for a step-by-step guide to creating great golf posture. Side Note Poor posture is often the result of poor strength in and around the core region. 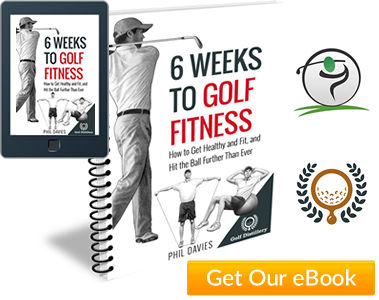 If, after following the video below, you struggle holding yourself in a good postural position, you might want to look through the golf fitness section of the site. You’ll find sample home exercises and routines that will build up your functional strength, improving your overall posture. Hold the club in front of your belly button with your arms and legs straight. Stand up tall with your shoulders pulled back and stick your chest out (photo #1). Tilt forwards making sure you tilt at the hips only. Your lower back should remain flat rather than rounded. Feel like you are pushing your behind backwards (Photo #2). As the club lowers to touch the ground behind the ball, flex your knees slightly (Photo 3). Avoid making the mistake of many amateur golfers by over-bending your knees.